K.C. 39® is a joint breeding project of Spanish seed selectors and K.C. Brains. We’ve crossed the most potent Spanish seeds with K.C. 606 and created an easy growing stable hybrid suitable for indoor and outdoor cultivation. 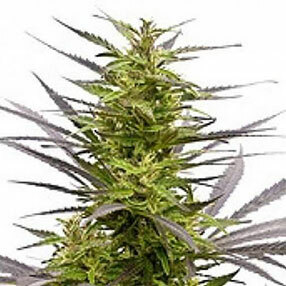 Being mostly indica, her seeds produce dark green plants which can go bushy under optimal conditions. Growing outside, this cannabis strain can reach 2-3 m. high, while indoor varieties remain their short look and won’t grow taller than 120 cm. K.C. 39® cannabis seeds have excellent genetic history, they are very resistant to pests, mushroom and diseases. Her easy growing nature makes her ideal for beginners. 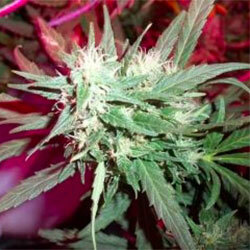 Growing inside, seeds of this marijuana show excellent performance in pots and soil. When growing outdoors, finding a safe place with good midday sun might be the first concern. The sun-baked clay soil is the next obstacle to overcome. Wherever she grows, the result is always great – outside yield makes up to 1000 gr. per plant with the harvest starting at the end of September and carrying out through October, indoor plants produce as much as 200 gr. per plant. K.C. 39® is considered as one of the greatest yielder among all known marijuana strains. Indica medical marijuana plants typically grow faster than their sativa counter partners. K.C. 39® flowering period lasts just 7-9 weeks indoors and up to 11 weeks outdoors spreading a very nice citrus-hash fragrance around. Fully mature buds have more intense smell; they are big and sturdy and are covered with white sticky hair full of THC. K.C. 39® marijuana is said to be one of the strongest strains, THC content is as high as 20%. Medicine produced from K.C. 39® cannabis indica plants have higher CBD and lower THC counts, therefore, she produces a heavier, relaxing effect.